Leica has just rolled out its own line of wristwatches, the first products from Ernst Leitz Werkstätten, a newly established division of the German camera maker that will produce, and not merely license, Leica-branded luxury goods. 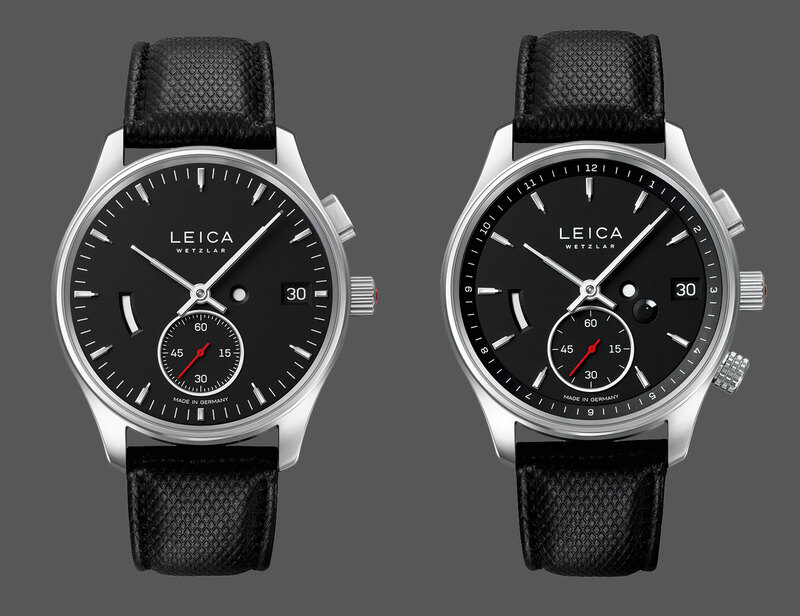 A contraction of Leitz Camera, Leica’s inaugural collection of watches comprises the L1 and L2. While earlier Leica watches, like the Valbray shutter watch, were licensed products, the L1 and L2 are proprietary. Both share the same steel case that’s 41mm in diameter and 14mm high, though the L2 will also offered in 18k rose gold. The L1 and L2 are available only with black dials, though a pair of special editions with red dials to commemorate the opening of Ernst Leitz Werkstätten will soon be rolled out. The watches are the work of Achim Heine, a German industrial designer whose repertoire includes several products for Leica, but also furniture for the likes of Vitra. Mr Heine injected only subtle references to Leica cameras into the watches, including a ruby cabochon on the crown that evokes the famous Leica red dot, and a domed sapphire crystal shaped like a lens. The visual nods to Leica cameras are subtle enough that the watches evoke other German timepieces, most notably the Nomos Zurich. Functionally is where the L1 and L2 are the most interesting. Both have a patented “push-piece” crown and zero-reset seconds. Pressing in the crown brings the movement into time-setting mode, while simultaneously resetting the seconds hand to 12 o’clock. A circular aperture at three o’clock indicates the crown position: white means neutral while red indicates time-setting mode. The date is advanced via the pusher at two o’clock, while the L2 has an additional crown at four o’clock that rotates the inner 12-hour bezel for the second time zone. And both models have the power reserve display at nine o’clock. Leica developed the watch with help from Lehmann Präzision, a machine tools and components maker located in the Black Forest, an area in Germany historically known for jewellery and clockmaking, and the home of watch brands like Junghans. Lehmann’s primary business is producing manufacturing equipment and precision parts for industries as varied as aviation and watchmaking, but in 2011 it started producing watches as well as its own movements. 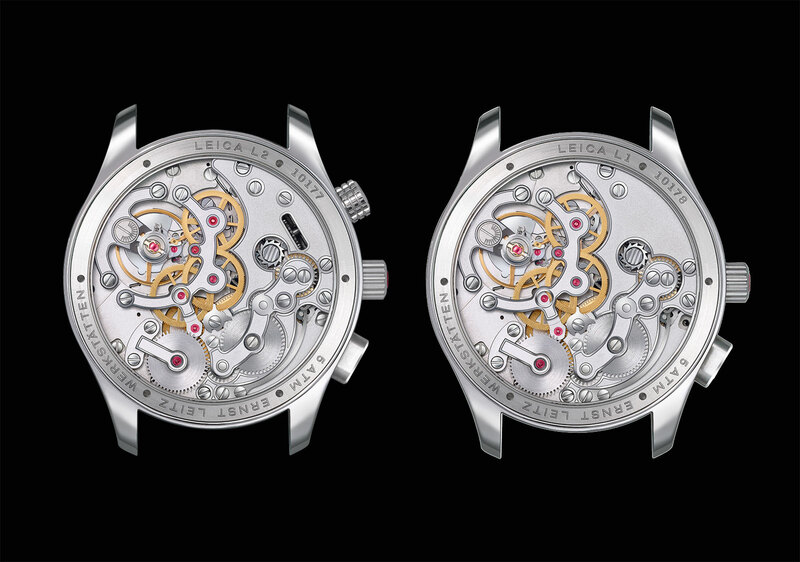 Consequently, Lehmann was responsible for much of the Leica watch, including the movements, though the watches are put together at Ernst Leitz Werkstätten. The L1 movement includes the time, date and power reserve, while the L2 has the addition of a second time zone plus a day and night indicator. Both share the same base calibre that’s hand-wound with a 60-hour power reserve, featuring an open-worked wheel train bridge that reveals the going train. 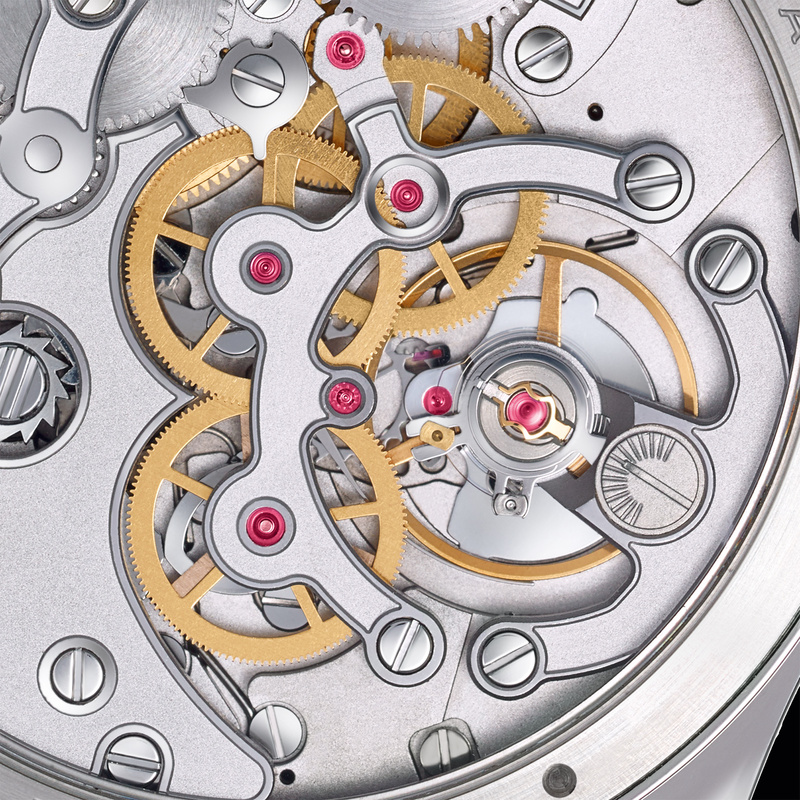 Constructed for Leica, the movement is distinct from Lehmann’s own calibres. The L1 and L2 are just the start for Ernst Leitz Werkstätten, which is located in the newest section of Leica’s headquarters in Wetzlar, an hour’s drive from Frankfurt. More watches are planned in the coming years, as well as other luxury products, all of which will be made in Germany. Leica’s diversification is unsurprising, given its incredible brand equity that is more akin to that of a luxury goods brand than an electronics manufacturer. In fact, Leica is upscale enough that Hermes has collaborated with the camera maker on several occasions, wrapping cameras and binoculars in its pricey leathers. In 2012 Leica debuted the M9-P Edition Hermes, a camera packaged with three lenses priced at US$50,000. Producing around 100,000 cameras a year, Leica’s signature rangefinder starts at about US$6000 and often crossing the US$10,000 mark, meaning that its clients can well afford a high-end wristwatch. With modest production numbers of the L1 and L2 planned, at least in the beginning, finding homes for Leica watches should not be difficult. 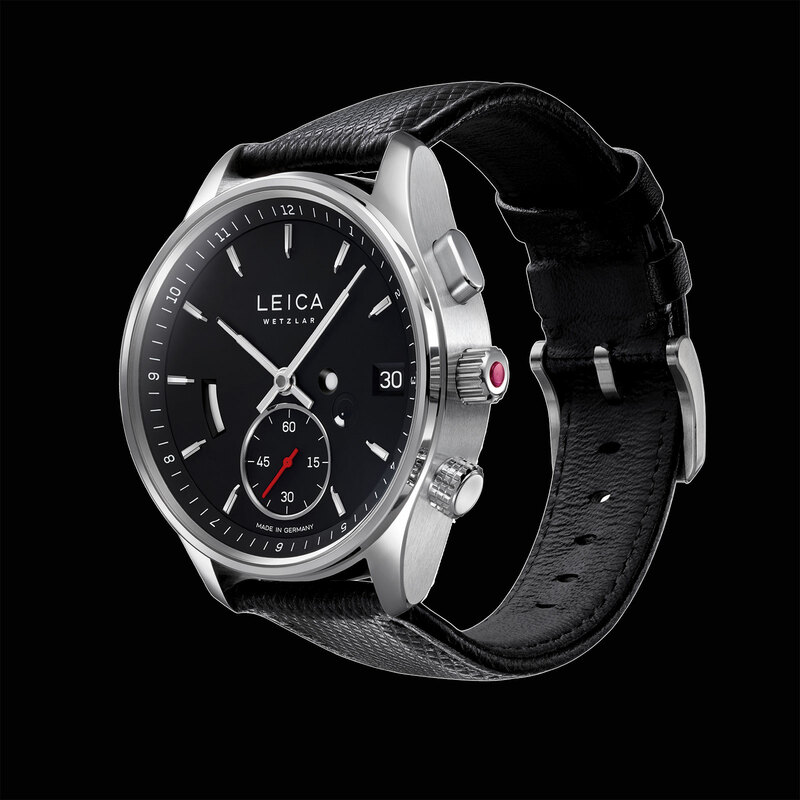 The Leica L1 will be priced at just under €10,000, or about US$11,500, while the L2 will be priced above that. The watches will be available in the third quarter of 2018 at select Leica stores worldwide as well as a handful of watch retailers. An unusual take on a utilitarian complication.